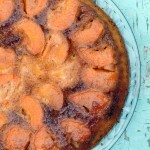 yummy summer apricot tart with fluffy biscuit, sweet and smoky caramel and delicious fruity apricots … so good that you will hardly leave a single crumb when you once started eating. this summer’s vacation is over and it seems that also summer has already passed. 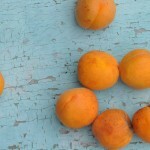 it was only recently that my parents harvested those wonderful bright orange apricots in their garden and shared them with us, because they have been so many.